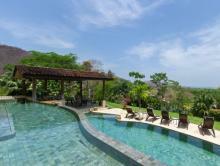 From Thermal Springs & Volcano View to Two-tiered Pool & Ocean View. This great offer includes volcano and beach, combining boutique hotels at two of Costa Rica’s greatest destinations! To maximize your Costa Rica adventure package, arrive at the Liberia airport, where you will be near the beach and famous Arenal Volcano. First you will visit the famous Arenal Volcano, staying at the Royal Corin, a luxury hotel with on-site hot springs and volcano views. Enjoy the relaxing thermal water, explore the rainforest from hanging bridges, and see the abundant wildlife that lives in the shadow of the great volcano. The second part of your vacation allows you time to relax at the beach in the luxury at the ocean-view boutique hotel Villa Buena Onda in Playas del Coco. The hotel is one of the finest in the area, and its small size guarantees the highest quality of service. Large bedrooms with stunning ocean views of the Papagayo Peninsula provide incredible comfort, and a giant, two level swimming pool creates a relaxing, romantic environment you won’t forget. Explore a number of nearby beaches, visit The Club at Coco Bay and the Beach Club, go sailing, or try scuba diving in the popular Guanacaste Province. 5 nights lodging at Villa Buena Onda—including one night FREE! Arrive at the Liberia airport and head to Arenal (approximately two hours). 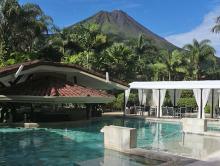 There you will stay at the Hotel Royal Corin, a luxury hotel with volcano views and on-site hot springs. 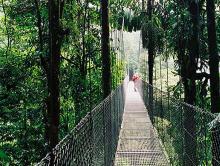 Kick start the fun on a hanging bridges tour! Enjoy stunning vistas as you discover the wonder of the rainforest with an expert guide. 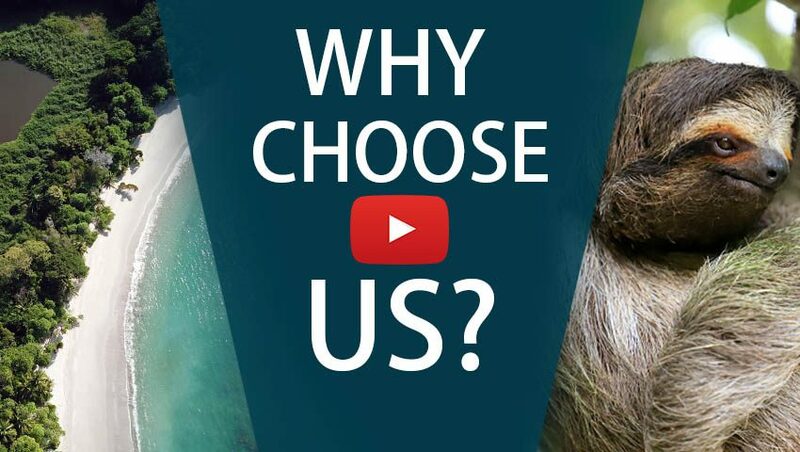 Explore the area and the many adventure tours it has to offer. Hiking, biking, canopy tours, and rappelling are among the most popular excursions. 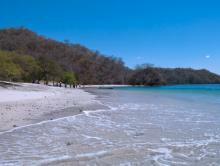 Enjoy a two hour ride to the Papagayo area where you´ll stay in Playas del Coco at your hotel, Villa Buena Onda. This adult-only, eight-room boutique hotel offers panoramic ocean views of the Papagayo Gulf. The two-tier swimming pool is the ideal place to spend a lazy afternoon, gazing off into the horizon. The personalized service and dining experience are both top notch. Don’t forget about your $120 bar credit! Visit several nearby beaches, go scuba diving, or try sailing. 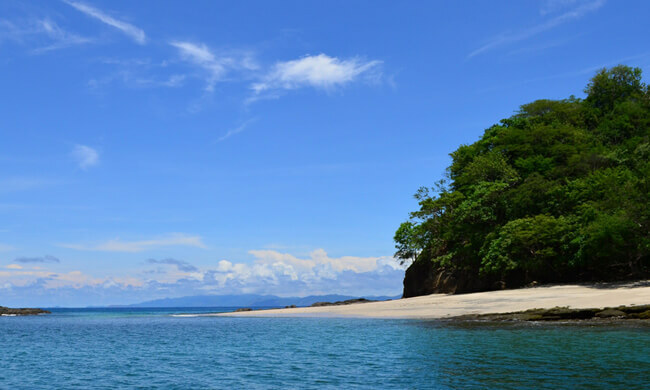 This beach region offers cultural and nature tours, as well as more adrenaline-pumping experiences such as ATV tours, surf lessons, and zip lines. Discover paradise on the Hidden Beach tour! Take the complimentary transportation from the Villa down to The Club at Coco Bay—free during your stay at Villa Buena Onda—and enjoy members-only access to the tropical pool, tennis courts, yoga pavilion, and full service restaurant. Further down the road and steps from the tranquil, black sand beach of Ocotal you’ll find the Beach Club. Here you can relax in the infinity pool or lounge in the beach chairs provided, and even use the snorkeling gear to explore the water! Villa Buena Onda will pack your lunch for you if you want to spend all day at these exclusive facilities. Take a private transfer just 20 minutes to the Liberia airport for your flight home. The Royal Corin is a contemporary resort perfectly suited for anyone looking for an indulgent getaway with modern accommodations.